The Fina Sport by Fina's Imported Motor Car Co. of New York City is intended to be "An Exclusive Car....to please the man of discriminating taste." A Cadillac V-8 with Dual-Range Hydra-Matic provides the power. 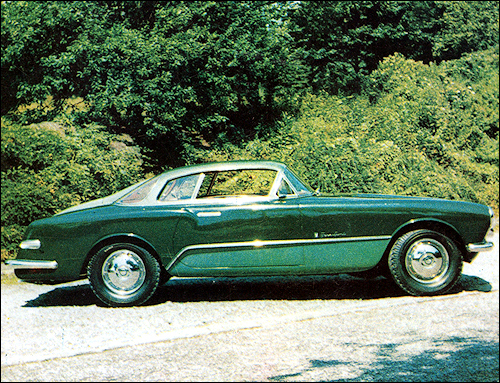 The aluminum body is by Vignale of Torino, Italy.